If you’re searching for a secure texting solution for physicians, look no further than our easy-to-use alternative to SMS. 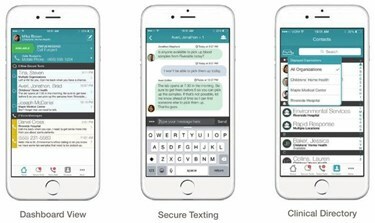 The wow factor: It’s similar to using a typical text messaging app, but also lets you transition a text conversation into voice to streamline physician workflow. Use it on iPhones, Android devices, and in popular browsers.